Roadsides and lawns. 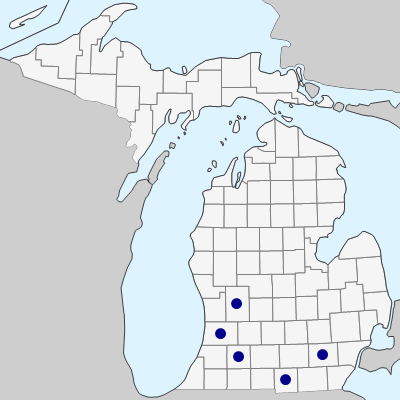 Michigan occurrences are certainly introductions from farther south as all are in highly disturbed habitats, though there are apparently native occurrences as close as the Erie Islands of Ontario. First collected in 1936 in Kalamazoo Co.
MICHIGAN FLORA ONLINE. A. A. Reznicek, E. G. Voss, & B. S. Walters. February 2011. University of Michigan. Web. April 21, 2019. https://michiganflora.net/species.aspx?id=896.